"St. Francis Day has always deserved my special attention since I need a lot of guidance to find the answer to the question "What place does poverty really have in my life?" I've felt that without a certain attempt to live a life of poverty I would be distracted. There are three aspects of Poverty that attract me: 1. Living simple, sober and silent, 2. a kind of forlorn fostered freedom, and 3. alleviating all poverty unlike Christ." G.K. Chesterton/ Bk. 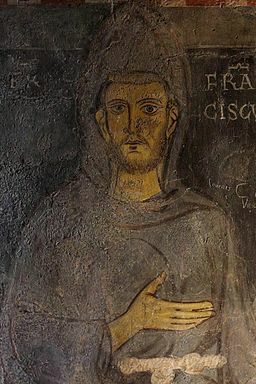 St. Francis says that 'St. Francis' argument for poverty was 'that the dedicated man might go anywhere among any kind of men, even the worst kind of men, so long as there was nothing by which they could hold him. If he had any ties or needs like ordinary men, (something that he may be 'hanging' onto) he would become like ordinary men." - (Gal. 2:20). (Acts 17:6) "...they dragged certain brethren unto the rulers of the city, crying these that have turned the world upside down come hither"
Therefore each year on St. Francis day I "stand on my head" because by seeing the world upside down I have discovered its dependent nature. 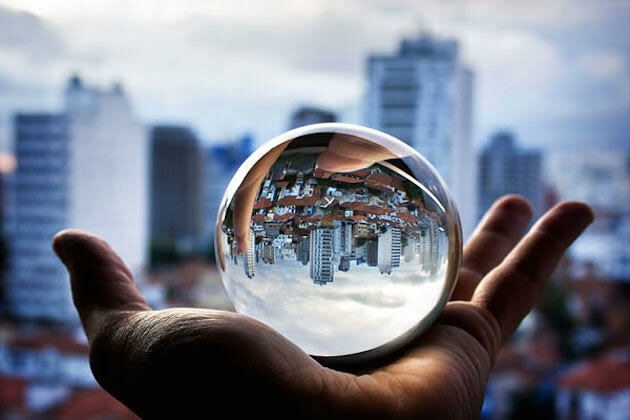 By seeing the world upside down, you can see the same city, people, church, home and job ... but in a different way!